Toyota RAV4 Running Costs, MPG, Economy, Reliability, Safety | What Car? There are certainly cheaper options, including the Mazda CX-5 and Peugeot 5008. However, the RAV4 is priced broadly in line with its closest rival, the Honda CR-V Hybrid. The extra technology in hybrid cars makes them more expensive to build, so this isn't surprising. Besides, you'll make some of that cost back in fuel savings; in our real-world tests the RAV4 averaged around 42mpg on a mix of roads. That's roughly 1mpg better than a diesel Mazda CX-5, albeit 1mpg worse than a CR-V Hybrid. However, it's company car drivers the RAV4 is most compelling for. Its incredibly low CO2 emissions (much lower than a CR-V Hybrid's let alone any pure petrol or diesel rival) mean you'll reap rewards in benefit in kind (BIK) tax payments. It's also worth noting that the RAV4 is expected to depreciate at a slower rate than the vast majority of rivals. It might be pricier to buy than some rivals, but equipment levels are high. All models come with adaptive cruise control, dual-zone climate control, alloy wheels, an auto-dimming rear-view mirror, automatic headlights, rain-sensing wipers, power-folding door mirrors and rear privacy glass. 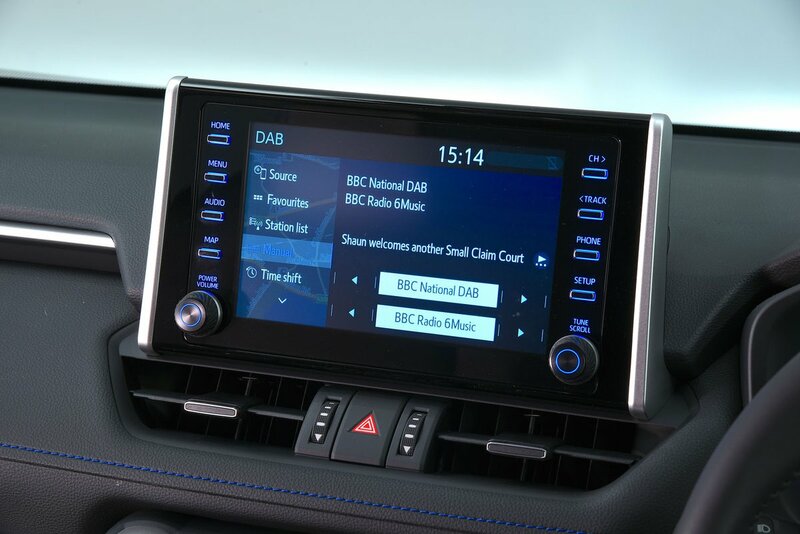 It’s still worth stepping up to Design grade, though, to gain some of the options we’ve mentioned before, from front parking sensors to sat-nav, as well as further additions such as bigger alloys and keyless entry. The higher trims, Excel and Dynamic, are very well equipped, with niceties including leather trim, a heated steering wheel and heated seats. They do bump up the price significantly, though. 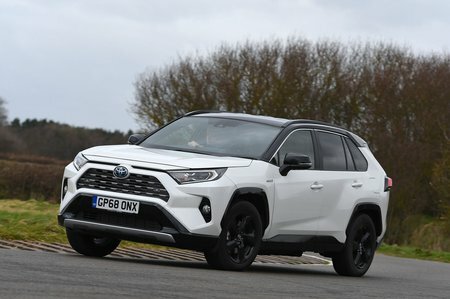 It’s unlikely you’ll need to worry about your RAV4 breaking down, or at least that’s what Toyota’s reliability record would suggest. In the 2018 What Car? Reliability Survey, Toyota came third out of 31 brands, behind only Lexus (which is actually owned by Toyota) and Suzuki. That’s pretty impressive. As back-up, you also get a five-year, 100,000-mile warranty; that’s far better than you get as standard on most of its rivals and is beaten only by Kia’s seven-year effort. At the time of writing, the RAV4 hadn't been appraised for safety by Euro NCAP, which precludes us from giving it our full five-star rating. However, we do know it comes with a good gamut of safety equipment, which for all versions includes automatic emergency braking (including for pedestrians and cyclists), traffic sign recognition, lane keeping assistance and an SOS emergency call function. Go for Excel trim or above and you'll also get blind spot monitoring and rear cross traffic alert, the latter of which warns you of approaching vehicles when you're backing out onto a road. 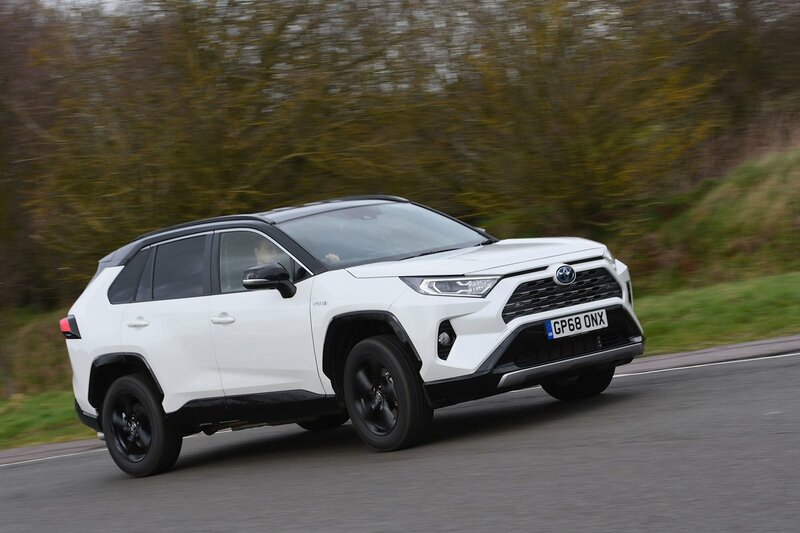 The RAV4 is fairly ordinary to drive, but its strong points lie elsewhere. For a start it’s well equipped and expected to be incredibly reliable (as Toyotas generally are). But its real selling points are costs. Yes, it’s a little pricier to buy than some other large SUVs, but you should make that back down the line through its strong resale values. If you’re a company car driver, the RAV4 should work out to be one of the cheapest large SUVs on company car tax, too.